We will find the RIGHT provider to fit your needs, so you can focus on the business at hand; growing YOUR business. 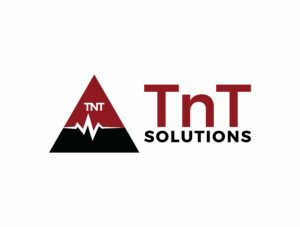 Let us give you the peace of mind you deserve by utilizing TnT as your consultant. Tailored Packages – We know that every business has unique needs, so we find the partner that fits your business size, model and budget. We work with you and the partner to negotiate the best solution for you. No Cost Consulting! – TnT Solutions does not charge you for our consulting services, but we are here to provide all the support required to ensure you obtain the best managed service provider for your business. We ensure your contract is fully understood, fair and more than meets your business needs. Ramped up productivity – Never stress again about network failures, lack of Help Desk, or any of the myriad other challenges you may have. Our managed services partners will put a package together that may include round-the-clock monitoring of your computers or design a package that is suitable to your needs. An incredible knowledge base – Our Managed Services and Help Desk providers will help you with just about anything computer related. We will assist you with the parameters your company needs and connect you with the best that will exceed those needs. Increased productivity – With significantly reduced downtime, you’ll see an increase in how much work gets done by your employees. If your IT department provides certain Help Desk levels, our providers can complete those needs to guarantee your employees work smoothly with little to no downtime. More available capital – When you have the support of Managed Services and/or Help Desk backing up your company and staff, that increased productivity allows for more available capital to grow and expand your business. You can rest easy when you put your IT consulting needs in our hands. CONTACT US today for more information. We look forward to hearing from you.